June 21, 2017 – St. Louis – LashBack® today announced that, for the fourth consecutive year, it has received Honor Roll status from the Online Trust Alliance. The 2017 Online Trust Alliance (OTA) Audit & Honor Roll is the latest edition of what has become the de facto standard for recognizing excellence in consumer protection, data security and responsible privacy practices for the world’s top companies. 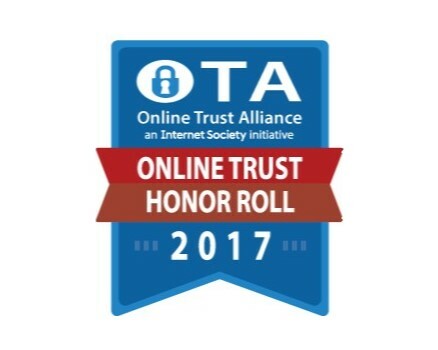 LashBack® is honored to receive the Online Trust Alliance’s Honor Roll status again this year. We are always striving to ensure that we have the most up-to-date and secure consumer protection, site security, and privacy technologies within our services and websites. Through up to date SSL & TLS protocols, email technologies such as SPF, DKIM, and DMARC, domain locking, domain certification, updated hardware, and clear Privacy Policies, LashBack® raises the bar year after year. As the only comprehensive, independent online trust benchmark study, the ninth annual OTA Online Trust Audit evaluates websites in three categories: consumer protection, responsible privacy practices and security. Based on a composite weighted analysis, sites that scored 80 percent or better overall, without failing in any one category, received Honor Roll status. OTA is an initiative within the Internet Society (ISOC), a 501c3 charitable non-profit with the mission to promote the open development, evolution, and use of the Internet for the benefit of all people throughout the world. OTA’s mission is to enhance online trust, user empowerment and innovation through convening multi-stakeholder initiatives, developing and promoting best practices, responsible privacy practices and data stewardship. To learn more about the OTA visit https://otalliance.org and Internet Society at https://www.internetsociety.org/.